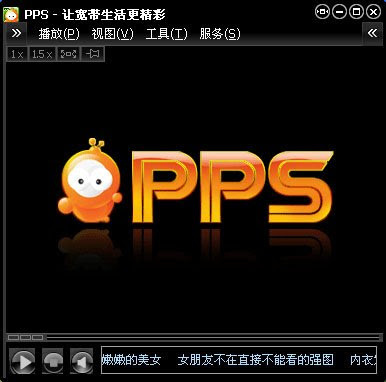 In case you don't know what is PPStream, it's a FREE online streaming programme. They have almost all the new dramas or variety shows or news or sports from all around the world with chinese subtitle. Of course, you need to know chinese in order to understand how to use this. Ok, back to the laughing part... It was Kok Bun laughing while watchine 'some programme'.... It annoys me alot actually... Imagine while you're sleeping and the you heard somebody laugh, want to laugh out loud but can't, have to depress the urge to laugh and this go on and on for 1 hour+! Oh God~ What's wrong with the programme??? Then I ask Bun: What the hell are you watching? FYI, Bun likes to watch Korea Variety Shows, which I can't tahan at all... He didn't answer me... Ok~ Fine, I'll watch it see whether is it SO hilarious until you laugh non-stop 1 hour! It's a MUST WATCH show for me and Bun... We didn't miss a single episode!!! The main thing I like about this show is each and every celebrity's personality is so different and they all mixed up together and form a good combination which brings SUPERB hilarious laughing effect to all the viewers! And you know what? I'm stuck on Lee HyoLee!!! A Women which makes other woman fall in love with her, how can anyone resist not to stuck on her?